Published: July 19, 2017 at 12:48 p.m. Updated: July 20, 2017 at 10:53 a.m. 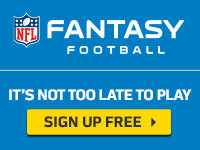 Interested in rooting for one of the NFL's 32 teams -- but don't know where to start? 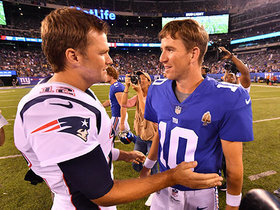 Adam Rank has you covered with this series, which will present a handy guide to becoming an instantly rabid fan of each organization in the league. Below, find out why you should root for the Los Angeles Chargers. The Chargers are now in Los Angeles. Which is still weird. I even slugged the top of this doc with SAN DI before I was like, "Oh (expletive), it's L.A. now!" I'm bummed out a little bit. It's like when David Letterman retired. I hadn't watched regularly in years, taking Dave for granted, like he'd always be there. Now? Nothing. I bought season tickets for the Chargers in 2005. Wasn't necessarily a fan, but I liked Drew Brees and LaDainian Tomlinson (and I was bummed out about how many Broncos fans were there when Jake Plummer and the Broncos came to town a few years earlier). That was pretty much my Chargers season-ticket experience, encapsulated in one afternoon. Actually, I don't want to seem dour. It was a pretty fun time. The team was competitive. The tailgate parties were great. We learned about pickleback shots. But now it's on to Los Angeles. Hold on, hold on. I have to say one thing about San Diego fans because they are awesome. There's a bull[honky] narrative San Diego fans are these soft, fish taco-eating, craft-beer swilling surfer types who barely care about football. It's so lazy. There is a large, passionate base in San Diego. And their heartache over losing the team is palpable. I'm glad Dan Hanzus put them in the rightful spot of his revised Pain Rankings. My hours of filibustering obviously paid off. For you East Coasters, imagine if the Eagles moved to New York. Would you tell Philly fans to deal with it, that it's just 90 miles north? You would not. So shut up. Now let's move on to L.A. I still feel like a lot of you don't get how amazing this is going to be. This would be like watching the Lakers play at Cal State Fullerton's tiny Titan Gym. Actually, when I was a youngster, UNLV had the best team in college hoops, and we'd go to see the Rebels play at CSF (and the other bandbox gyms in the area). It was one of the most incredible things ever. And if the Chargers get off to a great start, this could be the hottest ticket in town since Wayne Gretzky came to the Kings. There is reason for optimism with the Chargers, and it starts with the quarterback. It's funny: The Los Angeles Rams have struggled forever to find a franchise quarterback (though Jim Everett was pretty good). The Los Angeles Chargers have a future Hall of Famer in Philip Rivers. (Yep, I'll have that argument.) Rivers had kind of a down year last season with a bunch of picks, but there is way too much talent around him for that to happen again. (If said talent stays healthy, of course.) Rivers is going to fling it all over the field. The Chargers are loaded at receiver. Keenan Allen will be back. They have that rook. Shoot, Dontrelle Inman had 97 targets last year -- second on the team -- and he's probably not going to be top-six this year. I hate to bring this up. Not enough to keep me from doing it, mind you. But had the Chargers elected to not draft Eli Manning and instead selected, oh, I don't know, let's just say LARRY FITZGERALD, this could have been a different franchise. Though, you're probably right: We'll never know if a trio of Brees, LT and Fitz would have ever been successful in the NFL. My bad. Everybody has a type. My current #WCW lineup includes Gal Gadot, Zooey Deschanel and Raven from "The Bachelor." The Chargers have a type when it comes to receivers. Athletic 6-foot-4 studs who can tear it up. Like every year, there's a new Chargers receiver who is crushing it. Last year, Tyrell Williams surprisingly eclipsed the 1,000-yard mark. This year, the Chargers used the No. 7 overall pick on Clemson standout Mike Williams. A lot of times, with highly drafted players like Williams, they come in with a young quarterback and take a bit of time to get adjusted. He's going to have an Odell Beckham Jr.-like impact with the Chargers this season. That's right, Freezing Cold Takes. Drink it in! UPDATE: Welp, I guess I was ironically playing with fire when I namechecked Freezing Cold Takes. Did I just get burned? Hours after this piece was published, NFL Network's Mike Garafolo reported that Mike Williams is likely to start training camp on the PUP list thanks to a balky back. Good grief. The Chargers dominated the 2016 NFL Draft. The star was Joey Bosa, who racked up 10.5 sacks in 12 games and took home Defensive Rookie of the Year honors. After missing the first four games with a hamstring injury (which came after a contract stalemate the Chargers should've avoided), Bosa notched a pair of sacks in his first NFL game. Talk about instant impact. He's the kind of versatile game-wrecker that every single defensive front in the NFL could use. The Chargers also hauled in Gates' replacement, a pretty good ILB and a fullback. A FULLBACK! But I want to talk about that tight end. Gates is about to break the NFL's all-time record for touchdowns by a tight end. But the team also has one of the best young tight ends in the game: Hunter Henry. And before you ask, I did get a chance to ask Hunter if his middle name started with an H. It doesn't. Though he did say he'd be happy to let us pretend that it does. But I just can't do it. So Double H it is. If you're one of those folks who plays fantasy football (you should -- it's awesome), don't waste an early pick on Gronk. Wait and take Henry later. You will thank me. And don't forget about Melvin Ingram on defense. 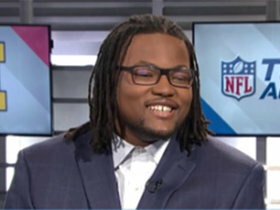 Not only is he a great edge rusher -- he has also laid claim to the title "Best Rapper in Sports," which is akin to saying you're the best long jumper in the L.A. Philharmonic. The Chargers did make a change at head coach and hired Anthony Lynn, who is already becoming a big hit in Los Angeles. He made the right move by keeping Ken Whisenhunt as offensive coordinator. But his bold stroke was to add Gus Bradley as defensive coordinator. Look, it didn't work out for Gus as head coach in Jacksonville. That's fine. But he's a damn good coordinator. Having two former NFL head coaches as your coordinators is perfect for a first-time head man. Before I start, I'll have you know I made sure LaDainian gave me his blessing. And he thought I was a lunatic for even asking about this. I love LT. He was the best RB I've ever seen in my life besides Walter Payton. (Jesus, I needed to get that Bears reference in.) But there is really only one guy who could be considered the franchise's best. Junior Seau was no doubt the face of the San Diego Chargers. He might have been the face of San Diego, along with Padres legend Tony Gwynn. Obviously a great player and all that. But he was also a great person. I shared a table with Junior at his Mission Valley restaurant one October afternoon, as I worked on a story for the Super Bowl XXXVII program. That season's Super Bowl was to be held at Qualcomm Stadium. I had met Junior there because he accidentally missed me at practice, so he insisted I come down for lunch. Shoot, I was (am) a poor journalist (in money and, well, I guess content, too), so there was no way I was going to pass that up. Plus, I'll be honest: I was still new to the journo game, so I was a touch starstruck. I wasn't normally impressed by pro athletes, but I had long admired Junior, going back to his days at USC. Thus, I was a little shaky as I approached SEAU'S (the apostrophe was a Chargers lightning bolt). Junior could not have been more welcoming. But there was one thing that really impressed me. He called out to one of his servers by name. And her back was to us, so it wasn't like he was reading a nametag or anything. I know this probably shouldn't be a big deal, but it really struck me. It showed he was an actual attentive owner. A lot of celebrities slap their name on a restaurant and reap the rewards; Junior was invested. And I'll admit, I was a little jealous because I worked at the Irvine Improv for like five years and the owner never knew my name. Took about a year for him to stop introducing himself to me. Hell, there are people at NFL Network who still introduce themselves to me. There was none of that in Junior. He was warm, engaging and funny during our time together. It was a pretty cool day. And when I told him I had hoped to get back home in time to watch Game 5 of the 2002 World Series because my Angels were in it, he insisted I watch the game there. He even invited me to watch the game up at Doug Flutie's birthday party -- but I saw David Binn walk in wearing an SF Giants hat and passed. When Junior was traded to Miami, it gutted Chargers fans. The bolt came off the restaurant sign. And I never saw Junior in person again. But I'll never forget that day. I'm really going to stump for Marty Schottenheimer here. He was a great coach. And he was fired after a 14-2 season. It wasn't his fault. I mean, he panicked and went for a crazy fourth down, which was out of character for him (and I'll submit he might've let the San Diego media get in his head for that). But if Marlon McCree (never bring this up) fell down after a late interception of Tom Brady, the Chargers win that game. And then they would've played host to the Colts, whom they OWNED. The Chargers probably blow out the Colts by 40 (remember, the Pats went up 21-3 on them in Indy) and go to the Super Bowl against Rex "Baby Hands" Grossman in the rain. There's a chance Marty and the Chargers get that elusive Lombardi Trophy. Marty would be in the Hall of Fame. There could be a 5-year-old stadium in the Gas Lamp Quarter next to Petco Park and life is so much different. I'm going to be sick. For the record, the players loved Marty. LOVED him. Norv Turner. I swear to God. He was Troy Aikman's offensive coordinator. Then he parlayed that into head-coaching gigs with the Redskins and Raiders. And then was brought in to push the Chargers over the top. (And chosen over Rex Ryan. Which looks fine now, I guess. But think of early-Jets Rex with the 14-2 Chargers. I'm just saying, the world could be a different place.) Turner took over that team and led it to three fewer wins in Year 1. He finished above .500 in just three of his six years in San Diego. In his 15 years as a head coach, Turner's teams finished with double-digit wins three times. He made the playoffs four times -- three of those immediately following Marty's ouster in San Diego. Oh, and speaking of Ryan, his Jets team knocked off one of Norv's squads. This was a complete waste of talent. I rocked two jerseys in my days as a season-ticket holder: A Tim Dwight No. 87 and a Rodney Harrison No. 37. My wife has a Shawne Merriman No. 56 Pro Bowl jersey. All of these are acceptable. Although if you want to get super saucy and wear a John Jefferson No. 83, I'm not going to be mad. I know people howl over the AFL version of the powder blue uniform. But I'll happily rock the more royal bluish uniforms of the Dan Fouts era any time. They recreated this for the "Color Rush" Thursday nighter. It's nirvana. The Chargers played their inaugural season in Los Angeles. That makes them kinda unique when it comes to Southern California professional sports -- a team that's actually from here! The Angels (who came a year after the Bolts), Kings, Ducks and Galaxy are the other rare birds. Though LAFC will join them soon. As you might be able to tell, I'm a bit torn about this franchise right now. And if you're a fan in San Diego who doesn't want to follow the team to Los Angeles, trust me, I have your back. The good news is, I have an entire series for you to peruse when you're ready to explore new fandom. For the rest of you, I had a nice conversation with LT. I talk to him a lot about the Chargers. He's working with the team. 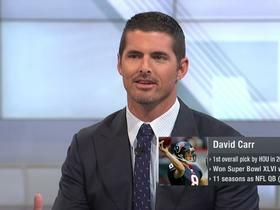 He noted that if anybody still has a reason to be bitter with the Chargers, it's him -- as he was unceremoniously shown the door. Like Junior Seau. SEAU was let go by this organization. So, there are a lot of things to like. Like I said, I understand if people in San Diego don't want to come along. It's a hard thing to deal with emotionally. I remember when the Rams left for St. Louis. So I would never tell you to do something you're not comfortable with. But for new people looking for a team -- like our (hypothetical) friend Jarrod from Australia -- the Chargers are an attractive choice.